Griswold is in mourning for four teens killed in a crash on Tuesday night and hoping for the recovery of one teen who is in critical condition. 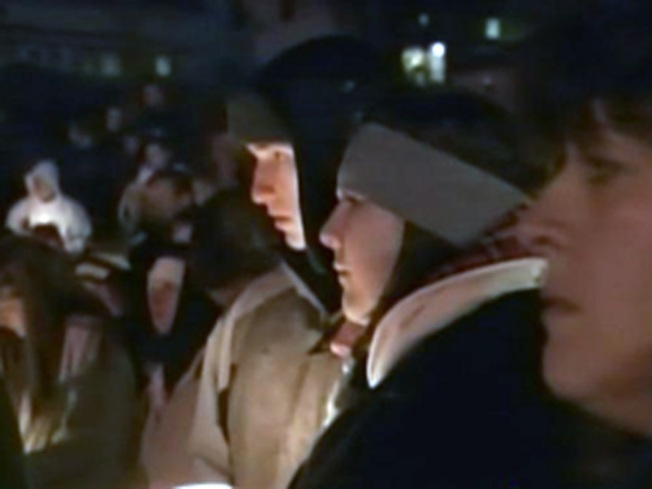 In the bitter cold of Wednesday night, many gathered in Jewitt City for a candlelight vigil to begin their grieving and to pray. Dillon Clifford, John Clapper, Sativa Cornell, all 16, and Steven Szklarz, 15, were killed in the crash just miles from the high school. Clifford would have turned 17 on Friday. Griswold residents gather for a vigil to remember the students who were killed in the crash in Griswold. “The love of my life is gone,” his mother said. “He was going to turn 17 Friday. Joel Gallup, the only survivor, is in critical condition at Yale-New Haven Hospital. Doctors are trying to stabilize him so he can undergo surgery. Clapper was driving, according to the police report. Department of Motor Vehicle records show he had only had a learner’s permit and wasn't supposed to be driving with teens in the car. It is a heartbreaking lesson to learn, one mother said. But, friends were not thinking about that on Wednesday. They were thinking about the people they lost in a tragedy. “He tried to be a tough guy but he really had a good heart, some didn't see it,” he said. Grief counselors will again be at the high school on Thursday as students and the community continue to heal from this tragic loss.